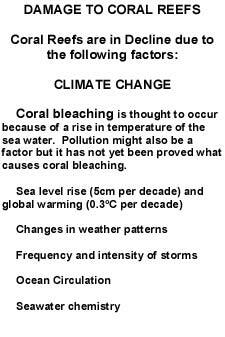 A great danger to the inhabitants of the coral reefs! Fishing gear a danger to marine life on the reefs! click here to listen to "Under the Sea" from the film the "Little Mermaid"
Did you rate our site at www.coralreefs.com? This is an excellent site on coral reefs. It also has links to all the major conservational/environmental sites. It is a must to visit! Please rate us before you leave if you haven't done so! Follow this link to 'www.coralreefs.com' to learn more about coral reefs and rate our website! Non-flammable aerosol insectide can found on a North Side beach after a north easter. It is used to fumigate commercial aircraft during flight. 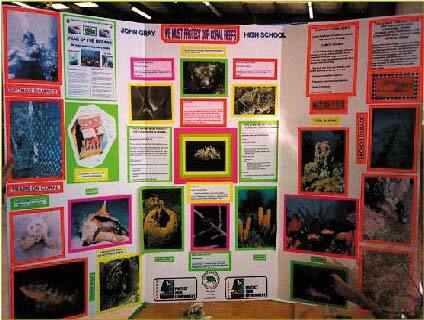 The John Gray Recyclers are busy studying Marine Dispersal of Garbage. We were lucky enough to be able to participate in the Caribbean Marine Circulation Project which was carried out by the Ocean Conservancy, in Washington, DC, USA. We found a vial on a beach at North Side, Grand Cayman, which had travelled from the Cayman/Cuban marine boundary. We are eagerly awaiting the results of this study. 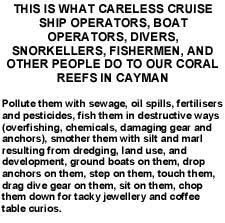 We are presently doing our own study of Caribbean Marine Dispersal of Garbage. We have just found an empty aerosol can on this same beach at North Side, Grand Cayman. 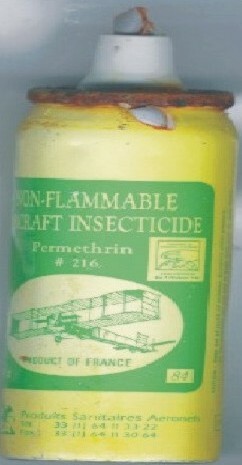 This can was empty but had contained an insecticide. It stated on the can that it was for use in large commercial aeroplanes. There was French writing on the can and we traced the can's manufacture to a company in France. We are very excited because we have received an email from the company in Paris, France, and they have signed our Guestbook. We are now attempting to find out where this can came from and how long it had been in the sea. If anyone can give us any information on the above aerosol can we would be very grateful. Are there any other schools/organisations out there who are also doing the same research as us? Maybe we could unite and make one team to study the Marine Dispersal of Garbage in the Caribbean area on a regular basis. Please contact us by email if you are able to help us/join us in this research. The Ocean Conservancy in Washington DC, is involved in many projects to save our marine environment from destruction by wasteful and destructive practices. They are working along with other organisations and are doing a wonderful job to save our marine life from destruction. 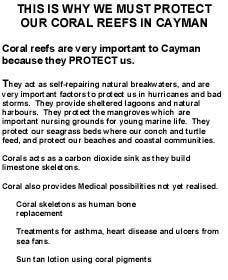 Please follow the link below to find out very valuable information on Marine Conservation or just follow the link above this article to 'www.coralreefs.com'!